Site access or ingress and egress pathways should be reviewed during a commercial property inspection or property condition assessment to determine where the subject property’s paving and curbing beginners and ends in relation to the neighbors or a municipality’s paving and curbing. Inspection of these areas is important for the purposes of identifying curb damage is well since this tends to be the area that larger vehicles such as delivery trucks and its semi-truck and trailers “jump the curb”. The ingress and egress pathway locations and the direction of travel for entries to the subject property also affect the general wear patterns and usability of the site parking and paving and should be included in the report. Although the usability of ingress and egress pathways from an operational standpoint as it relates to property attractiveness and flow and profitability are not within the scope of a commercial property inspection or property condition assessment. Being high use and high traffic areas these ingress and egress areas are sometimes furnished width concrete aprons and curbs. 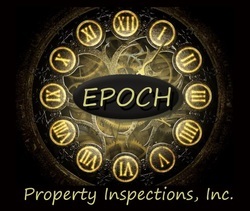 As a with any system commonly found on a commercial property routine inspection and condition assessment followed by application of proper maintenance materials and techniques is of utmost importance in ensuring the longevity of any site access ingress and egress system. Examples: curb cuts, traffic flow, pathways, drive isles, vehicular traffic, pedestrian traffic.